Is Paying Alimony Tax Deductible? Home > Alimony > Is Paying Alimony Tax Deductible? Yes, paying alimony can be tax deductible. However, there are guidelines to be followed both by the person receiving and the person paying alimony. Here is what you need to know. Alimony, which can also be referred to as spousal maintenance or spousal support, occurs when, following a divorce or separation, one spouse is adjudicated to pay the other spouse a determined amount of money. The award of alimony can be temporary, just for the duration of divorce litigation, permanent, for the lifetime of the recipient unless the recipient remarries, or within a given time frame as determined in rehabilitative, durational, bridge-the-gap, or a one time payment referred to as lump sum alimony. Regardless of the type of alimony awarded, if certain criteria are met, unless the couples declare differently in writing, the spouse paying alimony can take a tax deduction while the spouse receiving alimony must declare the amount as money received which is taxable income. It is important to note that the shorter forms of tax return, 1040EZ and 1040A cannot be used in filing when declaring alimony. To claim alimony as a tax deduction you must use l040. Another important note is that when the amount of child support is being calculated the income of the spouse receiving alimony will include the alimony payment. Receiving alimony may reduce child support as well as put taxable income in a higher tax bracket. You must be living apart. 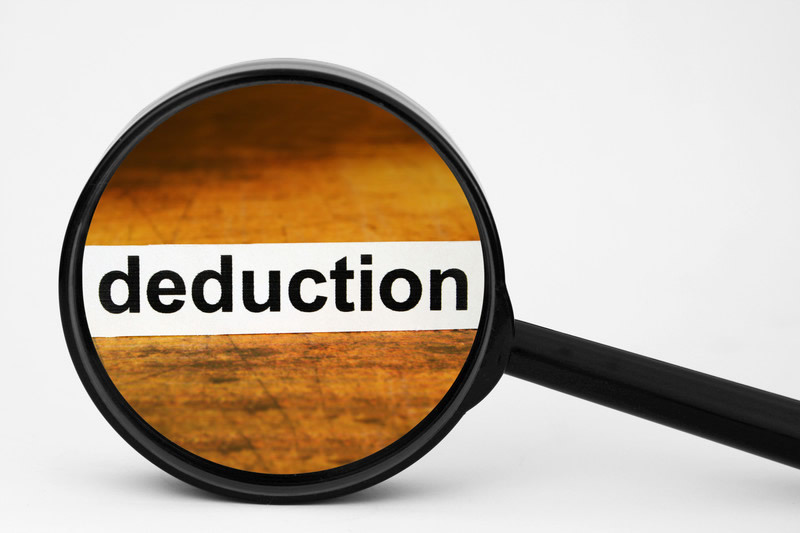 Only payments made following a physical separation can be used for tax deductions. The final document of judgment must state the alimony payments end with the death of the person receiving alimony. Alimony monies must be paid in cash or check. Assets of value such as a car given in lieu of alimony are not considered tax deductible. You must not file a joint tax return. Remember alimony is not child support so be sure the wording in your final judgment does not have a clause such as “alimony ends when a child is l8”. If the terms property settlement or division of marital property are used to refer to the money paid from one spouse to another, it is not considered alimony and cannot be claimed as a tax deduction. The final documents must state that the money received is alimony, spousal maintenance or spousal support and will be taxable to the recipient and the payer may take the money paid as a tax deduction. The IRS has specific rules regarding what is termed “front loading”, or paying amounts of money ahead of the scheduled payments. This is an important area to discuss with an attorney. Be sure to provide the IRS with both the tax ID number of the payer and the recipient. If these numbers are not supplied each person not complying will be fined $50. As noted earlier, there are many ins and outs when it comes to determining whether alimony payments can be tax deductible or not. Attorney Gisondo, PA offers a free, initial, in-office consultation where he will meet with you in person to answer questions and share how he can help. To make an appointment, call (561) 530-4568.